Roger Moorhouse is a leading historian of Nazism and World War II. He is the author of three acclaimed booked and has made a number of television appearances, given important lectures regarding the Final Solution and is a regular commentator for the press. Karl Krause was born in 1911 and became Hitler's valet and bodyguard in 1934. He died in 2001. 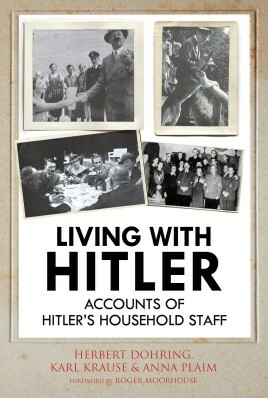 Herbert Döhring was born in 1913, and from 1935-1943 served as Hitler's Housekeeper. He died in 2001. Anna Plaim was born in 1920 and became a maid in Berghof in 1941. Anna Plaim was born in 1920 and became a maid in Berghof in 1941.